Al Rayyan promises investors an ‘affordable luxury’ with the opportunity to live, work, shop or play in its premises as an assurance of 'distinction delivered'. SHARJAH – March 21, 2018: Al Rayyan, the first ready-to-move mixed-use freehold development located in Sharjah’s Al Nahda district, turns to be the key attraction at the Acres 2018 Real Estate Investment Exhibition taking place at the Expo Centre Sharjah from March 21 to 23, 2018. Al Rayyan International Real Estate Investments and Development brings a range of new freehold and leasehold luxury apartments that cater to individuals and families who are looking for the ideal home in Sharjah. The development is set to be a landmark destination within the booming property sector that has developed in the Emirate over the past years. “We see a lot of demand from investors and residents to switch to owning a property by putting the down payment on their dream homes, rather than continuing the rental. Al Rayyan is a distinctive mixed-use development with ultra-contemporary residential apartments and first-rate commercial spaces complemented by lots of open spaces and abundant daylight. This project fulfils the growing need in Sharjah for a living environment that delivers an unsurpassed quality of life within a unique setting. We’ve built Al Rayyan with a vision to raise the standard for future developments. Al Rayyan promises investors an opportunity to live, work, shop or play in its premises as an assurance of 'distinction delivered',” he added. Al Rayyan has collaborated with Sharjah Islamic Bank to provide attractive payment plans for all nationalities that will enable investors avail mortgage schemes, with EMIs starting from AED 4,500. For a limited period, they will have the opportunity to buy the units at AED 599 per square feet. Investors booking the units at the ACRES exhibition will be able to enjoy benefits of immediate Return on Investment (RoI). 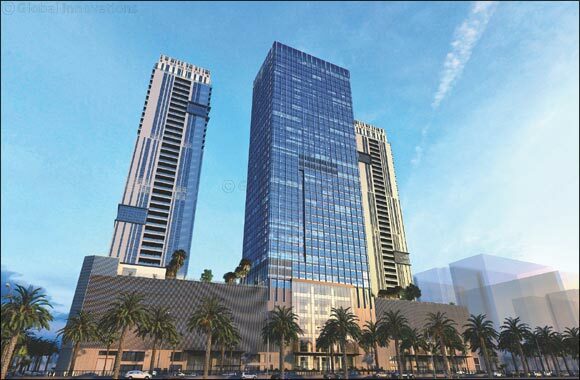 “This exclusive property is relevant as Sharjah promotes itself as a vibrant emirate, making strides as a dynamic business, transport, cultural and industrial hub. Sharjah’s business-friendly environment with world-class infrastructure makes it a highly attractive investment destination,” the spokesperson further said. Al Rayyan is strategically located in the Al Nahda region, which is within minutes from Sharjah and Dubai International airports and proximate to the commercial, leisure and retail centres of Sharjah. On offer is also limited set of leasing units at this insightfully designed development, where all the factors that enable a well-appointed lifestyle merging in a masterful fusion. Situated within two of the three towers of Al Rayyan are 39 floors of beautifully finished, one to four-bedroom penthouse apartments with spacious rooms and top-grade finishes. With world-class facilities in the community, Al Rayyan brings elegant lifestyle opportunities to the residents. The development features world-class amenities and leisure facilities including leading global and regional restaurant and café brands; entertainment, sports, wellness, healthcare, and recreational facilities like Yoga studios, swimming pools, gymnasium and play area; an extensive parking facility with space for 1,600 cars; and access to a world-class shopping experience within the community. Al Rayan makes a bold statement providing a high-rise executive lifestyle complemented by a truly cosmopolitan experience with a view of Dubai and Sharjah skyline and corniches. Backed by Canadian Architect team b+h and leading Greek Contractor Terna, Al Rayyan also incorporates a unique work environment with its office and commercial tower. The retail space of the development has already been provided to Lulu Hypermarket that aims to launch a unique concept store along with other major names in the market; while the commercial units were booked by global brands like Americana and others.